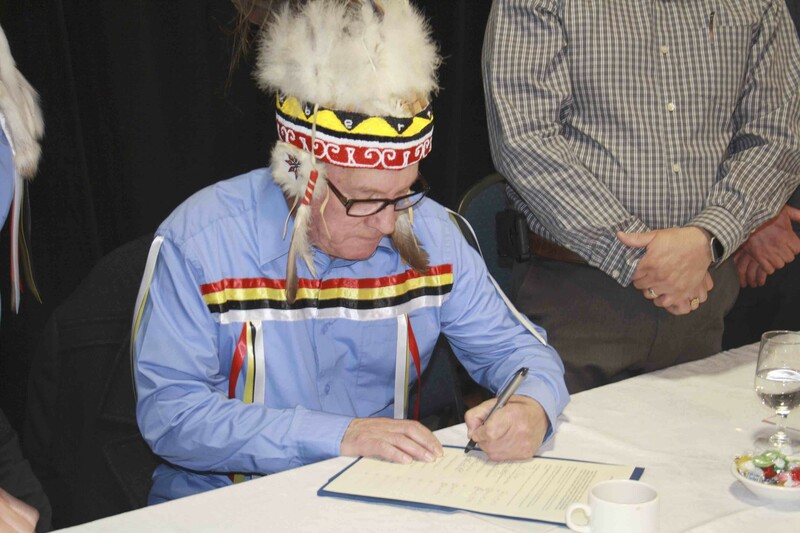 Nova Scotia’s 13 Mi’kmaq chiefs sign a new agreement to help benefit their communities. Chief Terrance Paul or Membertou First Nation is one of many to sign the new health-care data-sharing agreement. Mi’kmaw people aged 20-39 are five times more likely to get diabetes than other Nova Scotians, according to a newly-created health care data-sharing registry for Indigenous communities. The First Nations Client Linkage Registry is a joint project of First Nations chiefs, the provincial government and Health Canada. The new registry was announced Thursday at at the Cunard Centre in a signing ceremony featuring all 13 of the province’s Mi’kmaw chiefs. According to Paul the registry includes information on issues such as rates of chronic diseases like cancer and diabetes, mental illness and information on the health of mothers and newborns. Planning for the registry has been ongoing since October 2012. Natalie Doucette is part of a cultural resurgence in First Nations communities.